Within the next five months, Moscow and Jakarta look to trade in the rouble and rupiah. Analysts see the measure as a way of reducing the cost of trade. Taking a lead from Sino-Russian trade initiative, Moscow and Jakarta are actively exploring the idea of trading in national currencies. 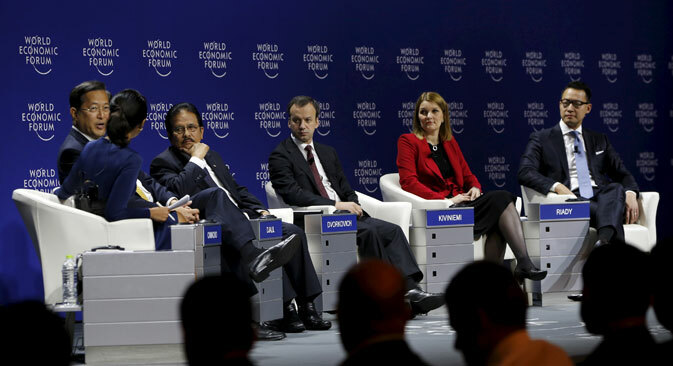 During Russian Deputy Prime Minister Arkady Dvorkovich's visit to the World Economic Forum on East Asia 2015, which was held on April 19-21 in the Indonesian capital of Jakarta, officials from both countries discussed making trade payments in rupiah and roubles. According to Russian Minister of Industry Denis Manturov, it would take about five months to implement the change to the national currencies. During his visit to Jakarta Arkady Dvorkovich said Russian investors are ready to invest hundreds of millions of dollars in Indonesia within the next three years. The Jakarta Globe reported that cooperation between the two countries is being planned in the fields of energy, transportation, agriculture and others. The Deputy Prime Minister also said that Russia is ready to supply Indonesia with liquefied natural gas, helicopters, civilian airplanes, satellite aerial devices and organize the production of cars, as well as create joint enterprises for assembling and servicing railroad technology. Russia was able to agree on similar trade cooperation programs with Vietnam and Thailand during Prime Minister Dmitri Medvedev's visit to the countries this month. Russia and India are also exploring the idea of rupee-rouble trade and talks were held on the creation of such a system during Vladimir Putin’s visit to New Delhi in December 2014.